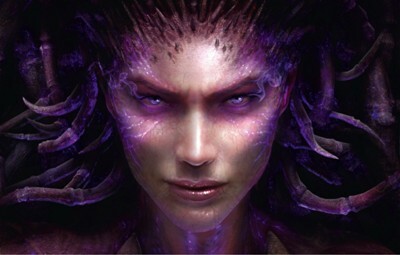 ‘StarCraft II: Heart of the Swarm’ is part of a trilogy that Blizzard has created for the StarCraft II series. With the new series, Blizzard has tried to put Queen Sarah Kerrigan in a leading role, but there is no change to the cliched story line of the series so far. The picturization of Heart of the Swarm is quite good and the visuals are stunning in places. This installment of the trilogy deals with Queen Kerrigan though. She is the centerpiece and is treated like an actual character in this series. Blizzard has managed to change her image into a dangerous character, who will not think twice before ordering her alien bug monsters to kill their enemies. However, she will not go out of her way to slaughter innocents this time around. The Queen has certain powers that are stronger than others and plays an important role on the battlefield. Kerrigan can also be re-spawned back at the base whenever she is killed in action. This allows a user to make the most use of her powers, allowing one to get through enemy defenses in no time. Overall, Blizzard has come up with a great real-time strategy game that is a pleasure to play, specially with some of the advanced powers of Queen Kerrigan.